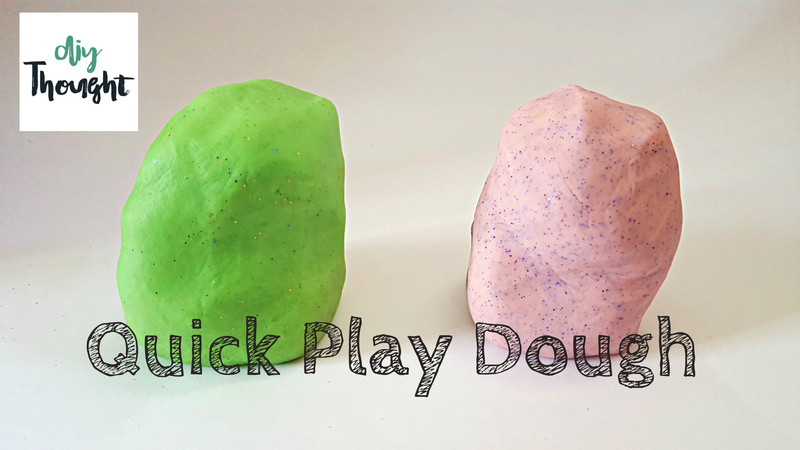 There are lots of different playdough recipes out there but this quick playdough recipe works well every time. It doesn’t require many ingredients and is quick and easy to make. 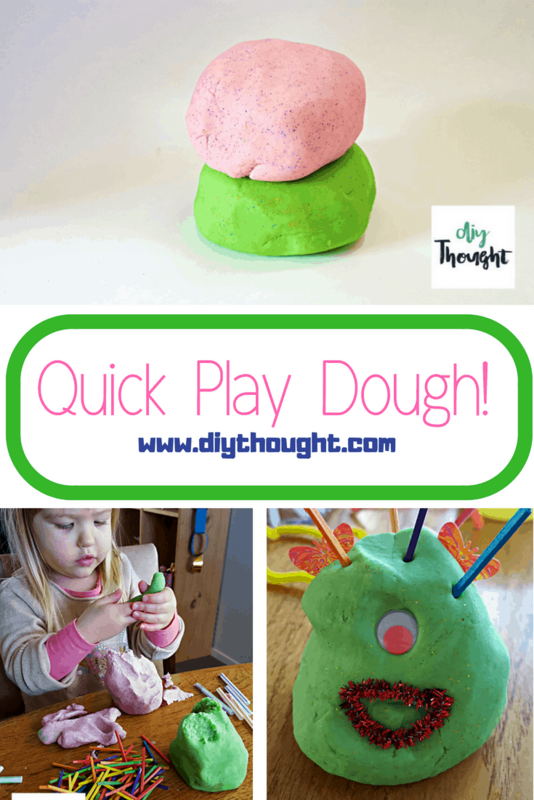 There really isn’t anything bad about this quick play dough recipe! My girls love adding the dry ingredients and then watching me stir in the boiling water, seeing the color transform the dough. I then give them the dough for the final kneading process. I normally divide this recipe in half, making it in two bowls so we end out with two different colors. Take it out of the bowl when cool and knead it for a couple of minutes until all of the stickiness has gone. If it remains a little sticky then add a touch more flour until just right. Add glitter and knead in. Skip the glitter if you have a playdough eating child! 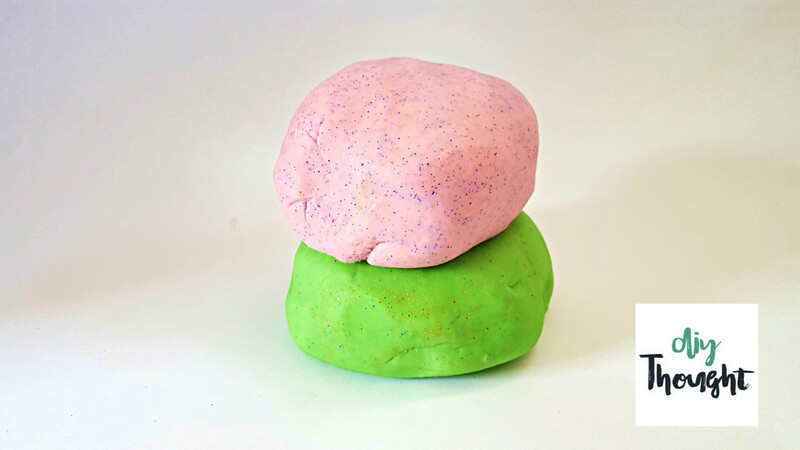 You now have some lovely play dough which will keep the kids occupied for a good long time! My girls are at the ages where they LOVE cut up straws and little wooden sticks to stick into the play dough. 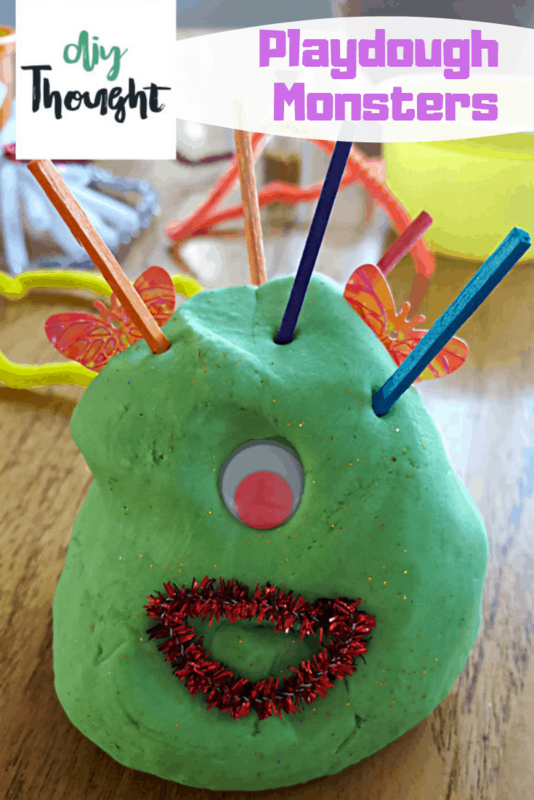 We have spent many hours making cute playdough monsters by adding on googly eyes. Lots of fun for all ages! 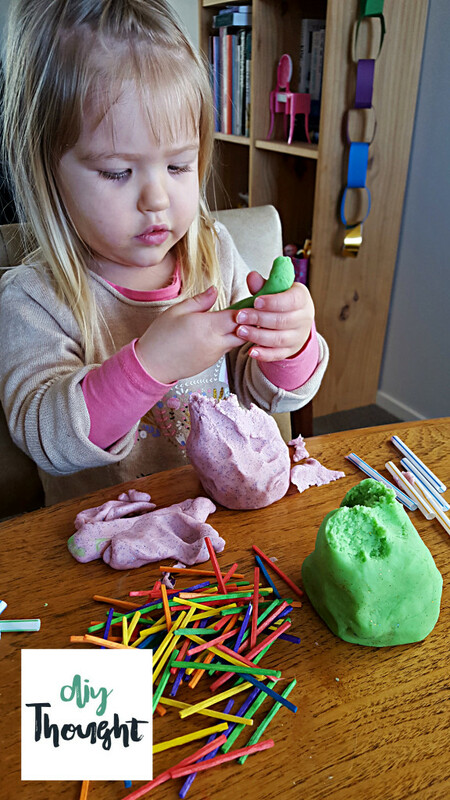 Make sure you store your playdough in an airtight container to ensure it lasts for many playdough sessions.